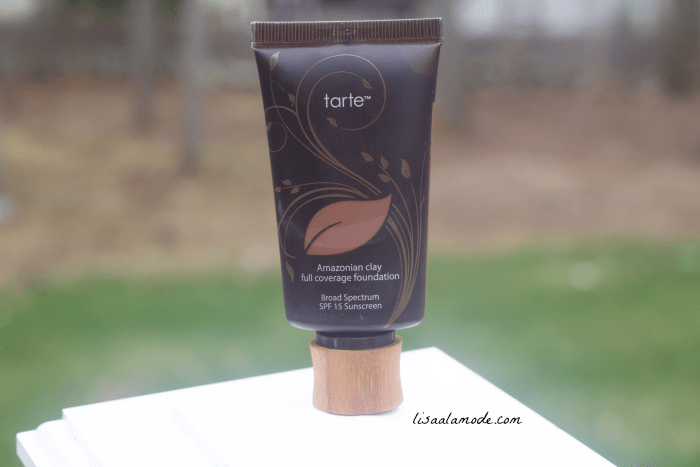 When Tarte Cosmetics released their new 12-hour foundation I had to try it. With summer right around the corner, I’m in the market for a new, long lasting, yet good-for your-skin- foundation. I know, a tall order, but I was pretty confident that Tarte could handle it. I picked up the color Rich Honey. A long-wearing, skin-perfecting full coverage foundation with UVA/UVB SPF 15 infused with Amazonian clay for better, longer, truer wear. Achieve flawless skin that looks healthy and natural. This supremely blendable, buildable and full coverage formula delivers up to 12 hours of satin-matte coverage with a weightless texture. Reduce the appearance of pores, discolorations and imperfections and ensure a perfectly flawless complexion every time with this best seller. Powered By: Amazonian clay: This nutrient-rich, multitasking and total-skin-balancing clay reduces dryness and flakiness, improves skin clarity, elasticity, firmness, and texture while removing oil from the skin’s surface for smooth application and wear. As someone with VERY acne prone skin, I’m always pumped when there is a liquid foundation on the market that promises to deliver without the chemicals. 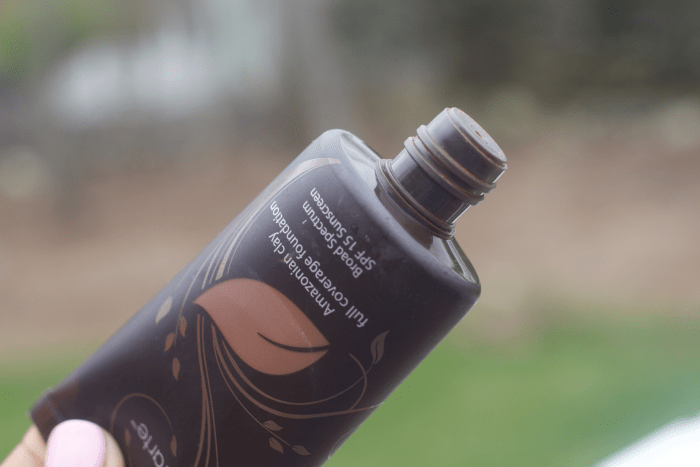 This foundation is light and provides buildable coverage. While it’s lovely on the skin, it’s not exactly what I would call full-coverage. 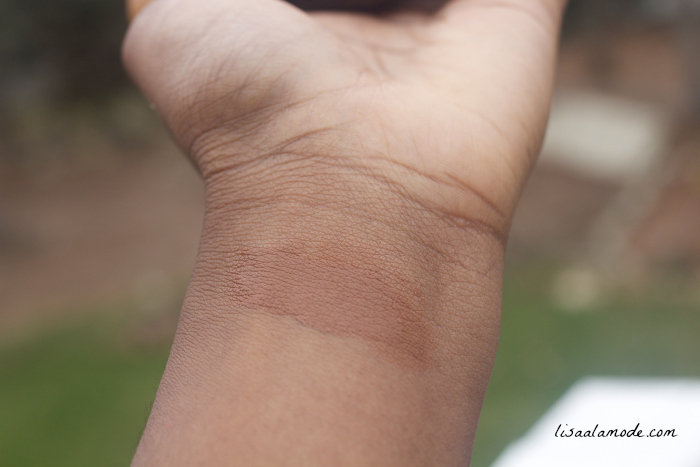 If you have hyperpigmentation, this is not the foundation for you. Furthermore, if you’re like me, and suffer from oily skin, this foundation will not do you any favors. Despite my rigid skincare routine for oily skin ( Reviewed HERE), I find myself blotting at least 5-6 times a day to keep the shine at bay. That being said, I find it highly doubtful that this foundation would truly hold up for 12 hours if I weren’t blotting throughout the day. As you can see in the photos above, this foundation does dry to a nice matte finish. And it looks pretty natural, right? The trouble, of course, is that doesn’t stay that way. I like this foundation. I do, but it misses the mark as far as not being truly full coverage, and not exactly lasting the full 12 hours. Furthermore, the color selection was limited. Rich Honey was the darkest shade I could find, and I am a NW45 in Mac Cosmetics. What is your favorite summer foundation? Drugstore or High End? Thank you for this review. I had thought about buying this but now am glad I haven’t. I have extremely oily skin myself and am looking for a good foundation that works well. What foundation/foundations have you found that work the best for you to combat the oiliness? Thanks so much. Have you looked at my other post about summer foundations? It’s really more about skincare/prep than the foundation, though. The best drugstpre one is revlon colorstay, but it breaks me out..
Wow! Your skin is so pretty! I don’t think you even need foundation! Someone at my news station recconended that I try this foundation. I knew that if find an honest to goodness post here! 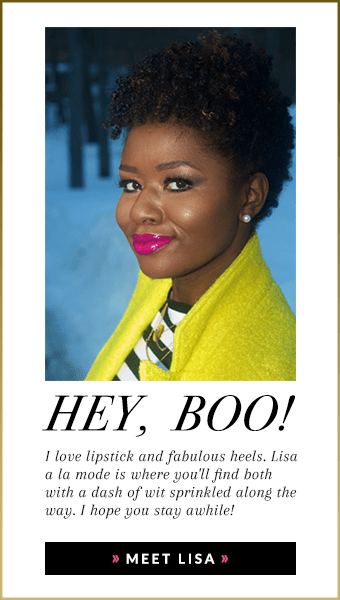 You’re one of my fave beauty bloggers Lisa. I think this might work for me, since I’m not too oily, but with that 39 dollar price tag….lol! Thanks again for the thorough review!